Bombay Sapphire, the Bacardi-owned gin brand, is creating a live art experience to celebrate the creativity involved in making cocktails. 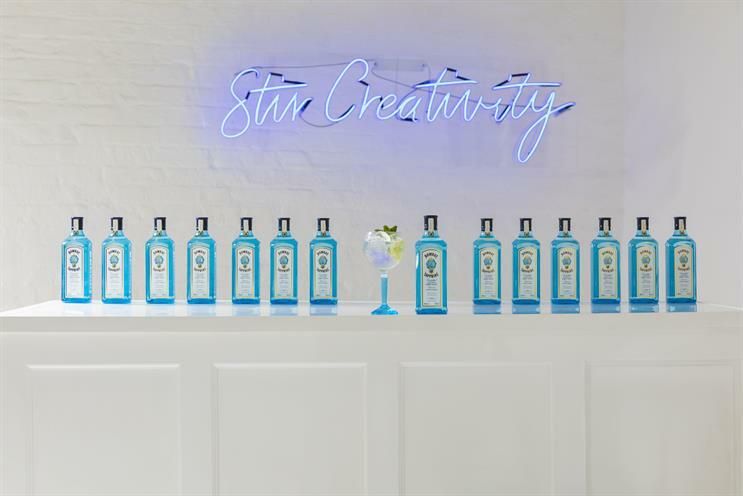 Visitors will be able to "stir their creativity" at the Bombay Sapphire Tonic Wall by selecting one of four colours and flavours, and then complete their drink at the "pick-your-own garnish garden". Guests will also be able to pick up a white-coloured Bombay Sapphire cocktail that they can personalise with flavoured edible paints in the Cocktail Finishing Studio. Bombay Sapphire has invited 12 international artists to Canvas to turn the space from a blank canvas into a "living work of art". The artists will use the floors, walls and furniture of the venue as their canvas. The brand is working with Abbott Mead Vickers BBDO and brand experience agency Wasserman on the activation, which runs from 18 July to 21 July in Shoreditch. Renaud de Bosredon, Bombay Sapphire UK brand ambassador, said: "Canvas will be a completely interactive experience and a celebration of international cocktail creativity. "From the Bombay Sapphire and Tonic Wall to the live artwork being created in front of their eyes, Londoners will witness something completely unique across each night of the event, as the space evolves from a blank canvas to a colourful work of art."